The Revs Program at Stanford was launched this week with a conference at Stanford’s Arillaga Center. Over 300 came along to a day of talks and displays celebrating automobility. 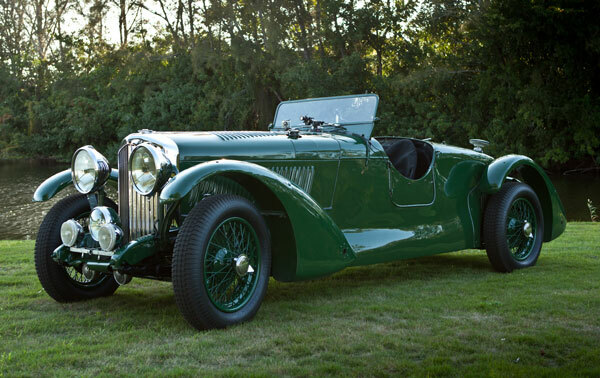 We were in the company of an extraordinary artifact sitting outside on the patio – a famous 1930s Bentley (chassis B35AE) raced by Yorkshireman Eddie Hall. 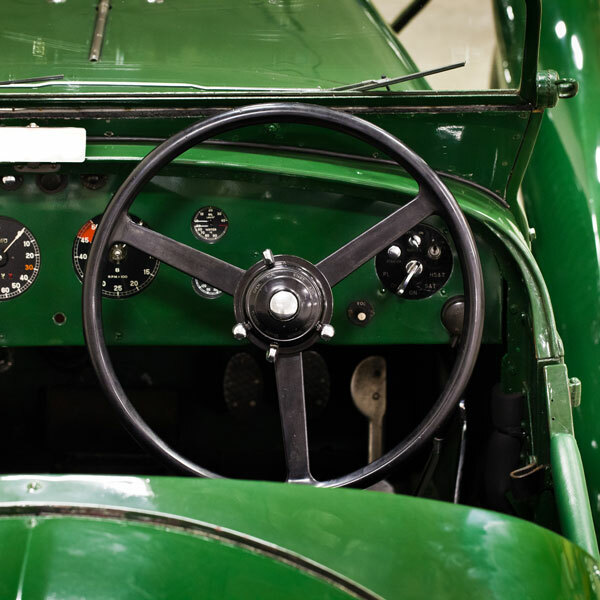 It was the subject for an “auto-biography” – a view the automotive world through the life of this particular car. The aim of our Program is to create a new transdisciplinary field connecting the past, present and future of the automobile, bridging the Humanities, Social Sciences, Design, and Engineering, centered upon the human experiences of designing, making, driving, being driven, living with, dreaming of the automobile. The Revs Institute of Naples Florida, one of the world’s finest car collections, library and archive of automotive history and design is our partner. 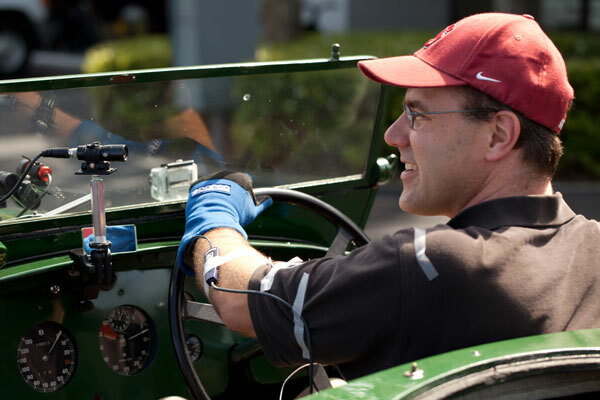 Stanford Revs Program nestles within CARS – the Center for Automotive Research at Stanford. The ultimate goal is to create a new kind of museum of the car, working closely with Stanford Libraries to build cutting edge digital collections management and delivery systems. With me fronting the Program are Chris Gerdes (Engineer), Cliff Nass (Psychologist and Cognitive Scientist), and Sven Beiker (Executive Director and liaison with the car industry). After introductions from Provost John Etchemendy, Cliff Nass, and Miles Collier (Business Executive, Artist and Philanthropist), whose generous multi-million dollar gift is starting up the Program, came vignettes from the car’s life. 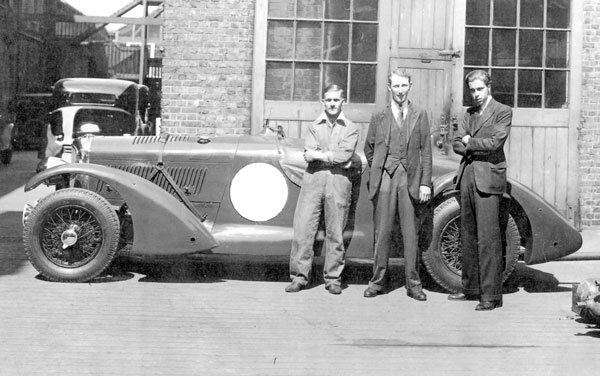 Bianca Carpeneti, Gary Devore and Chris Lowman (Archaeology, Heritage Management and Design Research, my Metamedia Lab) dealt with cultures of speed and performance in the 1930s, engineering in the run up to WWII, and choices faced when the car retired from racing and became a collector’s item. Michelle Mederos (Product Design Program and Cliff’s CHIMe Lab – Communications between Humans and Interactive Media) and Lassi “Al” Likkanen (Cognitive Science and CHIMe Lab) showed how we might instrument and quantify experiences of driving. John Kegelman (Mechanical Engineering and Chris’s Dynamic Design Lab) focused on the car itself and how we can instrument and quantify our experience of its performance. 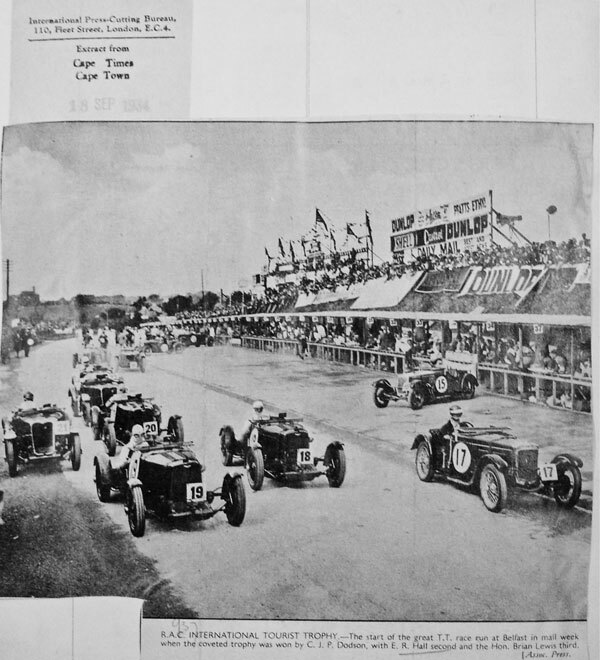 Doug Nye (Motor Racing Journalist and Historian) took us back to the 1930s with some remarkable restored film footage – racing at mad speeds along the country lanes and through the towns of the Northern Ireland Ards circuit for the RAC Tourist Trophy. In a session on the human interface with machines, Joy Taylor (Clinical Psychiatrist, Associate Clinical Professor (Affiliated), Stanford University School of Medicine, Department of Psychiatry and Behavioral Science) and Cliff Nass unpacked some of the emotional and cognitive interfaces with artifacts. Chris Gerdes took us into the future with intelligent and autonomous vehicles, and a movie showing Shelley, Stanford’s autonomous vehicle, going through its paces. David Kelley (Mechanical Engineering, Stanford d.school, and founder of IDEO, the design consultancy) is one of our key supporters, but had to miss his presentation. Julia Landauer (Stanford Freshman and Auto Racer) and Duncan Dayton (Auto Racer and American Le Mans Series Team Owner), interviewed by Murray Smith (Bibliophile, Sporting Motorist, Automotive Archaeologist), shared with us their first-hand experience of extreme human-machine interactions. This theme of the cyborg driver came up again with presentations on how we can deal with the cultural history of automobility from Fred Turner (incoming Director of our Program in Science, Technology and Society) and Ursula Heise (Professor of English and Director of the Program in Modern Thought & Literature). Fred flagged up a crucial issue we wish to tackle – the mediation of experience – how experiences are documented, represented, visualized. Lawyer Dan Siciliano (Senior Lecturer in Law and Associate Dean for Executive Education and Special Program) raised the question of when a car is not a car – when it’s treated by the law as a horse (or horse-less carriage) – and now the car is increasingly a platform or system. Sven covered the different institutional connections across the history of the car. Miles Collier talked about the intellectual world of the car collector – issues of authenticity, conservation and restoration, connoisseurship and authority. The Library involvement in the Program was explored by Stu Snydman (Libraries Manager, Digital Production/Web Application Development) – outlining the development of open source systems for organizing, searching, and sharing collections, of books, papers, cars! Let me say a little more about the archaeological agenda in the Program. We’re developing and expanding the anthropological archaeology of Material Culture Studies. 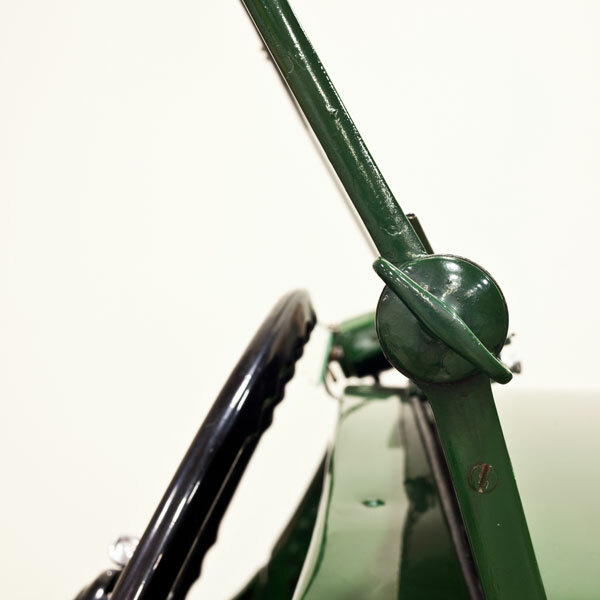 We’re taking up again what Bill Rathje called “the archaeology of us”, and taking seriously what, ironically, has been overlooked – the car as popular culture, as icon of modernity, as a key moment in twentieth century engineering and industrial design. The expanded scope is a design perspective – a focus on human-centered design. Design – informed by history, archaeology, ethnography, as well as engineering, science, technology, psychology, cognitive science – starting and ending with human experiences in the richest sense. And the legacy of the material past – where the museum becomes a design studio. What will a discipline of things, encompassing this Program centered on the car, look like? All three rooted in the histories, genealogies and archaeologies of what we’re calling Archive 3.0 – the animated archive of digitally enabled interactive stores of sources, knowledge and collaborative exchange. We’ll be sharing everything we can and inviting contribution, reaching out to that community fascinated by this major part of our contemporary heritage. Revs at Stanford – a project in human-centered design – where archaeology and history inform design, where the museum and the archive combine with the design studio.